Prerequisite Testing: A test is provided to determine if the learners have the background preparation to successfully complete the NFGC. Writing Test: An opportunity will be provided for learners to determine the grade level of their writing. 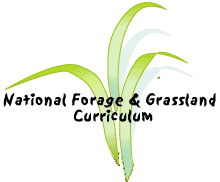 The format of this test allows learners to express their knowledge of the importance of forages to society. Reading Test: A reading test is provided for learners to determine their reading rate and comprehension level of college level text. Pre-assessment Test: Tests specific to each topic are provided in order to determine if the learners have already achieved the instructional objectives of the topics presented in the NFGC. Post Testing: Opportunities will be provided for learners to retake the assessments or assessments covering similar information to determine the progress made during the course of the class. Learner Survey: A survey is provided to determine the specific educational desires and goals of the learners. This survey may be useful for instructors to better serve their students and will enable the NFGC designers to revise the course.